Save Kayak Instruction Inc. at Paddle Point Park. Background: Rowlett Lakeshore Times featured an article last week concerning a local business by the name of Kayak Instruction, Inc. (http://www.kayakinstruct.com). This is a private business established and operated by a resident of Rowlett, Dave Holl. 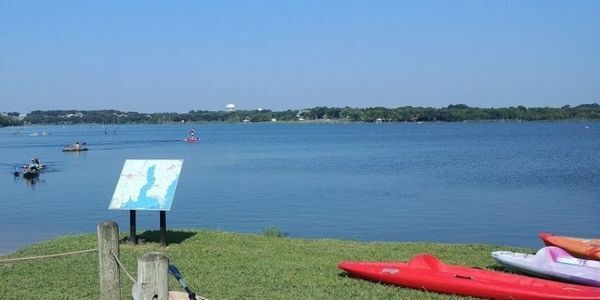 It is located on the owner's private property at 6917 Miller Road, Rowlett, Texas 75088, and operates out of Paddle Point Park (https://tpwd.texas.gov/fishboat/boat/paddlingtrails/inland/rowlett_paddlepoint/), adjacent to the property. Prior to the introduction of Kayak Instruction to the location, this lakeshore area was a dilapidated wasteland. However, since the launch of his Kayak business, Dave has contributed to revitalizing this shoreline into a picturesque and peaceful recreational community destination. In fact, Dave's Kayak business has been a magnet for families from surrounding cities beyond Rowlett. This placid shoreline cove which has become known as a colorful serene family-fun attraction, is in jeopardy! sign the petition on the https://www.thepetitionsite.com site.